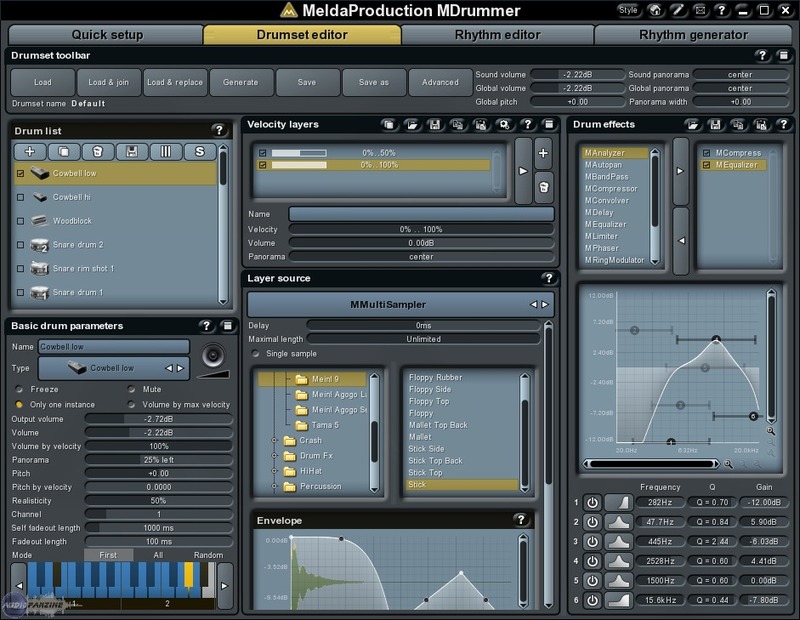 MeldaProduction has updated MDrummer to v2.12. Full MIDI export from song structures - MDrummer was already able to drag & drop MIDI commands from song structures. 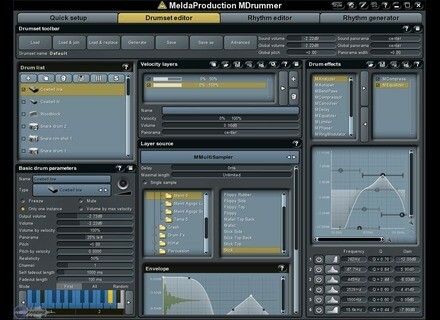 Now MDrummer can render the entire song into a MIDI file and you can drag & drop it in the same way. Then you can edit the drum track note-by-note. MSubSampleLibrary generator - MSubSampleSynthesizer provides extremely simple way to create new original sounds. Now you can also create your own subsample libraries from your samples using a single button right in the MSubSampleSynthesizer GUI and get sounds like never before. Advanced song structure edit controls - add verse, add chorus, multi-selection. Added MIDI command drum maps for Samplitude. Added solo/mute to output MIDI filters. Default number of output channels set to 1. Added update command file "update.cmd" in installation directory, which can be used instead of start menu item. MAnalyzer resolution increased to -80dB. Fix: Saving state in Ableton Live. Fix: Output MIDI filter icon update. Check out www.meldaproduction.com for more info. Sample Logic TryPack [Freeware] Sample Logic has released TryPack, a free 500 MB direct download Kontakt sample library (requires Kontakt 2 or 3). Focusrite Liquid 4PRE's Pro Tools TDM/RTAS Control Plug-In March 2009 sees the release of Liquid 4PRE's Pro Tools TDM/RTAS control plug-in. Synapse Audio Plugins In 64-Bit Versions Synapse Audio has announced that native 64-bit versions of all of its Windows VST instrument plug-ins are available now to all registered users, free of charge.